My favorite trick for creating a bind off that won’t snap or break, involves increasing right before you bind off. I explained about the basic trick here yesterday. 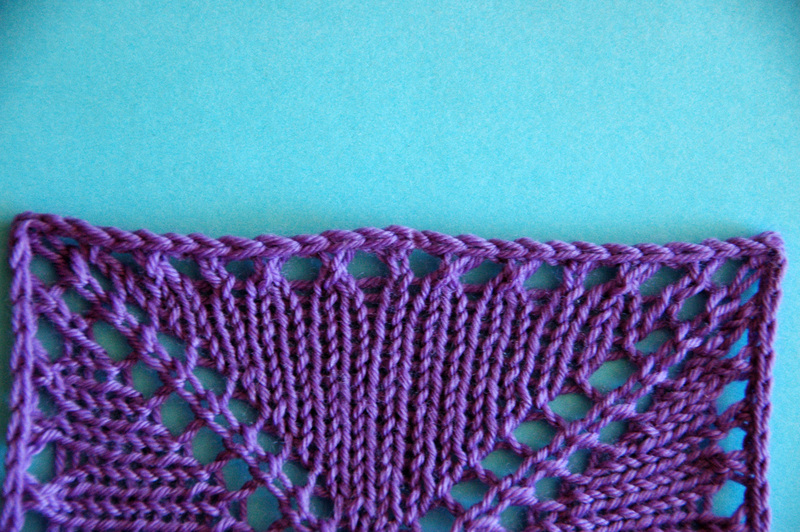 In essence you’re creating a very subtle ruffle that will disappear once you block your shawl. The ratio of stitches to increases (how often you increase) determines how pronounced the ruffle is. Put another way, the more often you increase the more pronounce the ruffle is, the less often you increase more subtle the ruffle is. Yesterday the directions I laid out had 1 increase for every 3 stitches, so your stitch count would increase by one third your original stitch count. However for squares, triangles, and other shawls with straight edges I find that increasing by a third gives you too much of a ruffle. 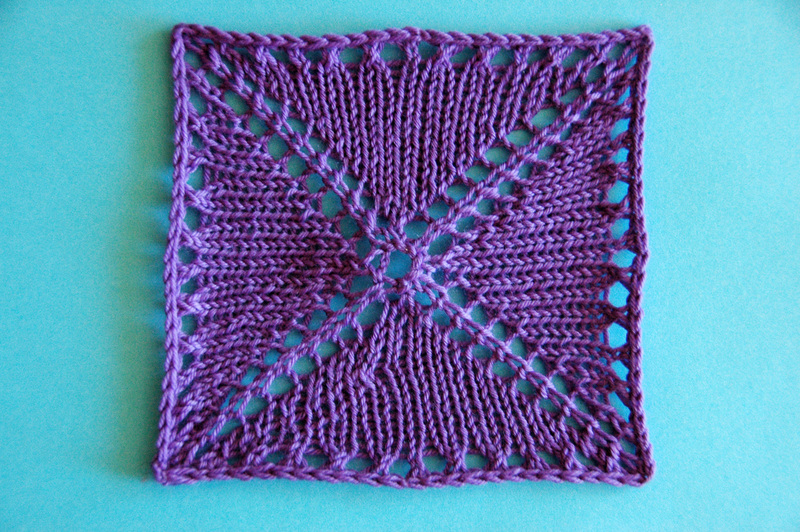 So for shawls with straight edges, I like to increase the stitch count by one fifth. I [yo, k2tog, yo, k2tog, yo, k1] around or across. 2. Knit 1 round plain. 3. Increase round: [yo, k2tog, yo, k2tog, yo, k1] around. 4. Knit 1 round plain. Of course if you don’t mind a little bit of ruffling you could absolutely increase your stitch count by a third on your square shawls. Or if you find that increasing by a third on your circular shawls is too much ruffle, only increase your stitch count by a fifth. It’s your knitting, do what works for you. Get your Bind Off Cheat Sheet.